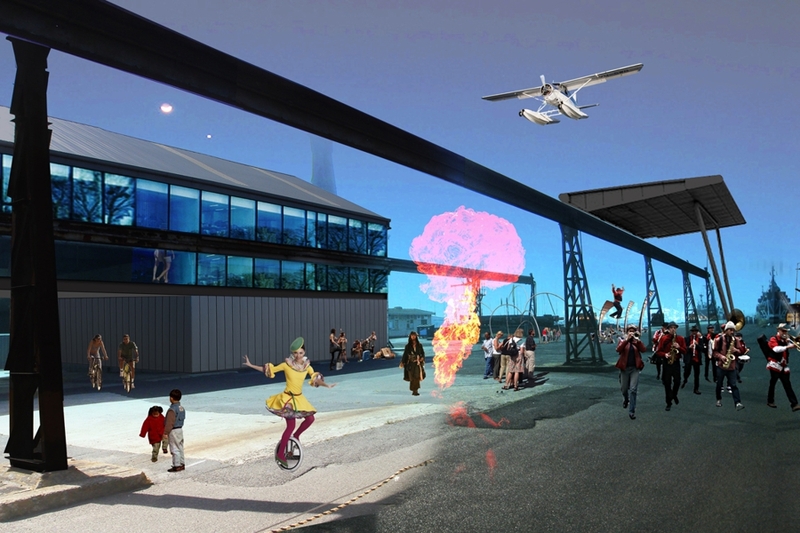 The Seaworks site is a major piece of land on Port Philip Bay in Williamstown, managed by the Seaworks Foundation. 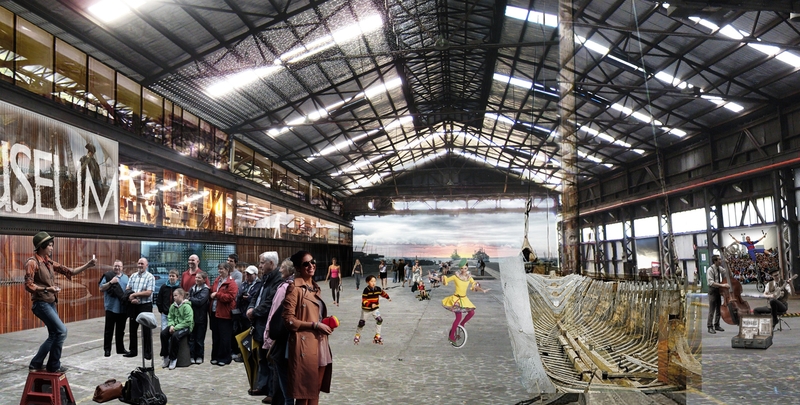 TERROIR (with Hirst Projects) undertook a masterplanning process involving stakeholder consultation, assessment of heritage and other physical infrastructure, interrogation of business, cultural and community opportunities and development of major functional priorities. 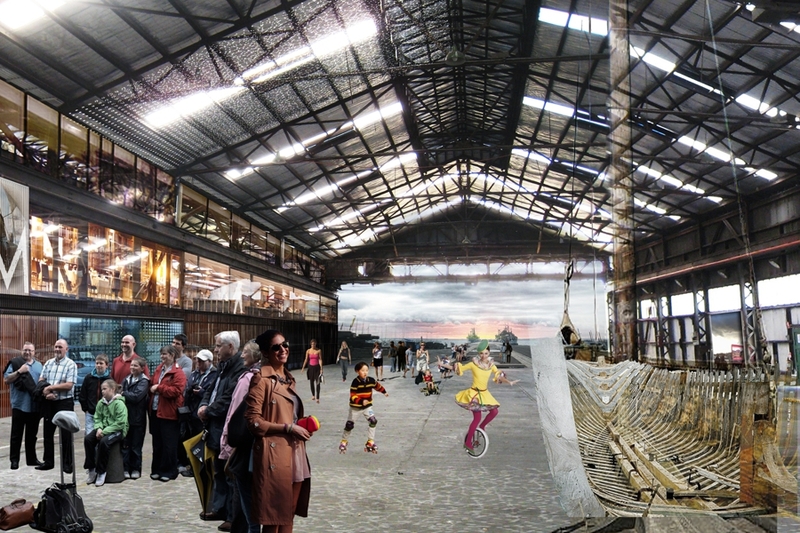 Seaworks is a combination of a place, activities and people. It is a magnificent location with an unsurpassed view of the Bay and the City and access to the water. It has a long and significant history of ships and shipbuilding, and it is of a scale that can embrace public and private uses. The Seaworks Precinct Plan is designed to allow organisations, businesses and individuals to get involved and to bring their activities to Seaworks enlivening it and creating a high level of attraction for multiple market segments. In a prominent location at the entry to the site from the street is a place that holds the essence of its heritage. A combination of collection store, gallery, interpretation centre and resource centre this offers visitors an opportunity to engage more deeply with the history of the site and to investigate more broadly the maritime history of Victoria. Aligned with this there are the heritage buildings, including the historic Williamstown Morgue, whose existence and active conservation will further inform visitors about the maritime history. The ramp to the front of the site will be an area, at the water’s edge, where the remnants that indicate previous uses can be interpreted and restored or conserved. 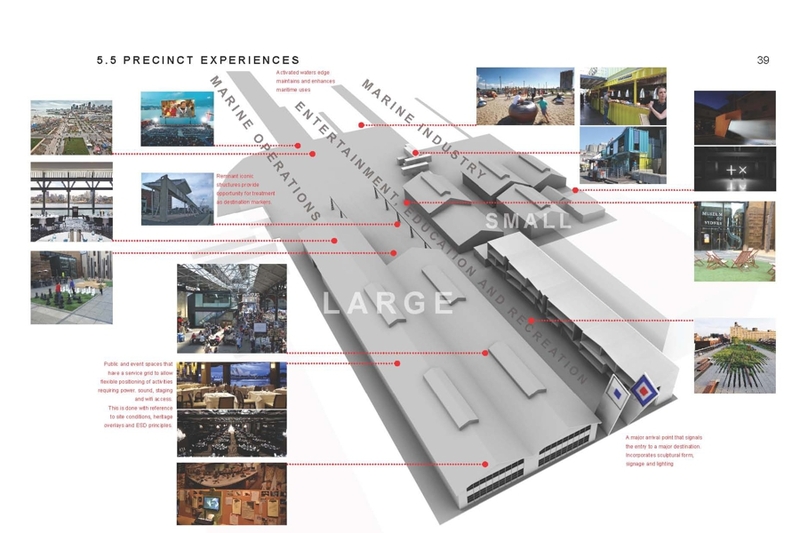 Inside the heritage sheds the maritime activity will continue, connecting to the past with eg wooden boat building, connecting to the present with eg marine specialist businesses and connecting to the future eg the Sea Shepherd activity and its conservation focus. Facilities for boats to berth offer the unique opportunity for heritage vessels such as the Tall Ships on a seasonal basis, and the Sea Shepherd boats preparing for their journey to the Antarctic as well as some private berthing. Tours and charters can also be operated from the site bringing the maritime experience closer still. 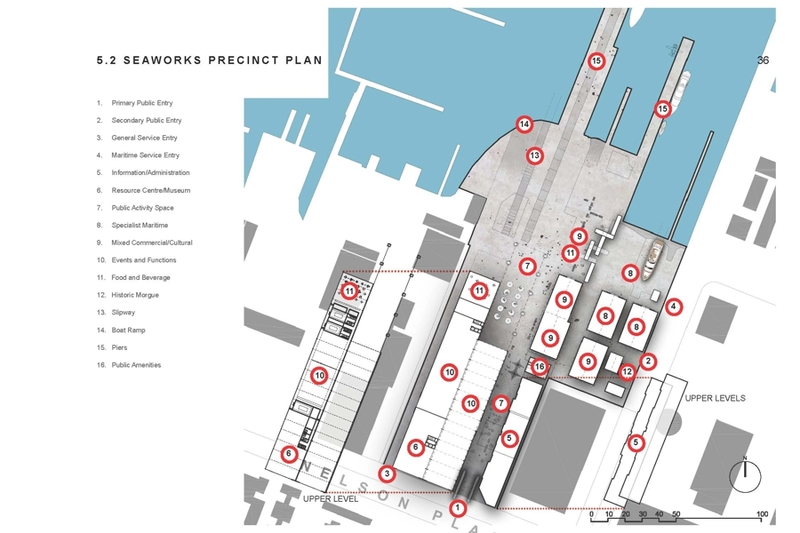 The Plan offers extensive public areas that offer free access in and around the site. 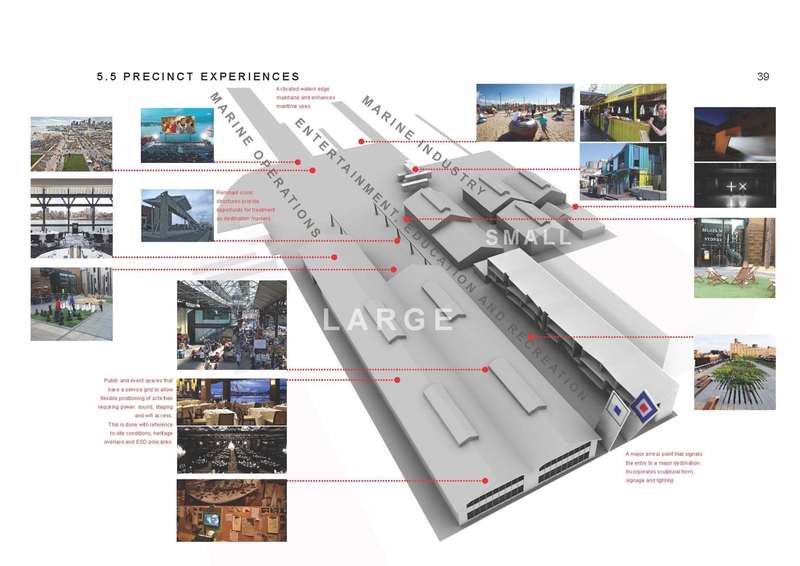 These will be the location for events, festivals, markets, classes and other activities that to a large extent will be selected to enhance the “living maritime precinct” aspiration. The Plan was endorsed by the Foundation and is the basis for the long term development of the site.